For the revolt that took place in 1832, see April Revolt (Pernambuco). The April Revolt, or Abrilada, in the history of Portugal, was an absolutist political revolt that took place in April 1824. 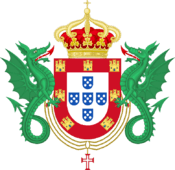 It succeeded the Vilafrancada (1823) and foreshadowed the Portuguese Civil War (1828–1834). On 30 April 1824, Infante Miguel, who had been appointed generalissimo of the Portuguese Army, had top civilian and military people of the country arrested and placed in the dungeons of the Castle of São Jorge and the Tower of Belém. Among them stood out the figures of the Quartermaster-General of Police, Baron Rendufe, the Duke of Palmela (then in government in coalition with the Earl of Subserra) and the Viscount of Santa Marta. D. Miguel, who had the support of his mother Carlota Joaquina, considered them guilty of being supporters of liberalism and of his father, D. John VI. Miguel's stated intention was to end what he called "pestilential bevy of free-masons", a reference to Freemasonry liberal and constitutional. Various military corps were then sent to the former Palace of the Inquisition, (the former Convent of Santo Domingo, where today the Teatro Nacional D. Maria II stands), in Rossio, Lisbon, then installing its headquarters. He then gave orders to besiege the Palace of Bemposta, where the king was accompanied by his English adviser, General William Carr Beresford. 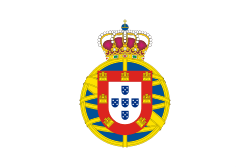 The support of John by the diplomatic corps in Portugal was decisive to solve this conflict, in particular the action of the French ambassador Hyde de Neuville. In an attempt at appeasement, one diplomat managed to enter the palace and convince the king to call his son. He achieved, thereby, an agreement that brought back the troops to barracks, but that the detainees remain imprisoned, with the exception of Palmela, who took refuge in a British ship, continuing the political and military instability. In May, diplomats helped D. John VI to take refuge in the British ship Windsor Castle, where he took a series of measures: he deposed D. Miguel from his position as head of the Army, ordered the release of political prisoners and the capture of the supporters of his son, who was summoned to come aboard. Once retained, D. Miguel was forced to embark for France in the frigate Pearl, putting an end to the uprising of miguelistas. The infante was deported from there to Vienna, and Dona Carlota Joaquina, was placed under house arrest in the Palace of Queluz.